He began his studies at the Munich Academy, in 1894. He settled there and developed a substantial activity as an artist; he participated inexhibitions until 1930, such as those at the Glaspalast, in which he received a gold medal (1913), and he organised a retrospective exhibition(1921). In 1932 he returned to Greece and was appointed director of the Athens School of Fine Arts annexe on Mykonos. 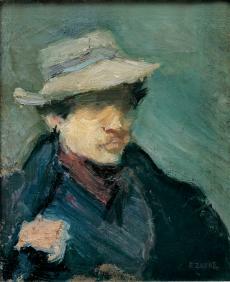 He participated inthe Venice Biennale (1936, 1950). 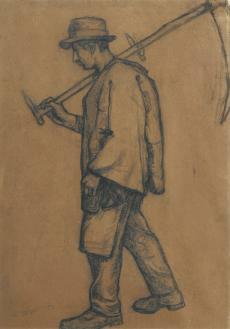 He depicted working people and, on a more limited scale, landscapes and portraits. The influence of German Impressionism can beidentified in his work.